Because the best restroom is an orderly one. 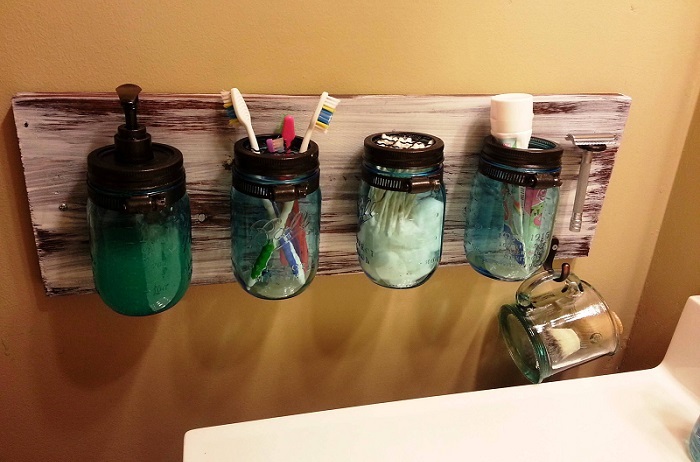 A piece of wood, pipe straps and mason jars is all you need to free up counter space around the sink. 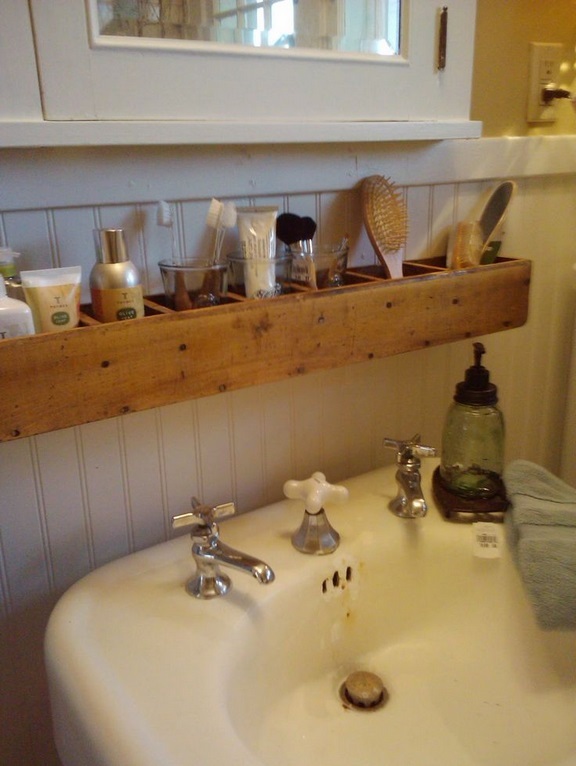 Conversely, you can create new counter space with an over-the-sink shelf. 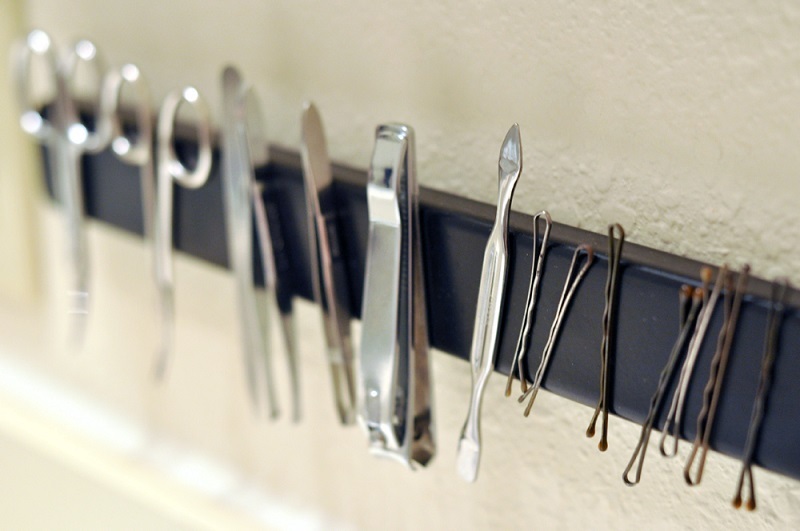 A magnetic strip will keep tweezers, nail clippers and bobby pins organized and out of drawers. 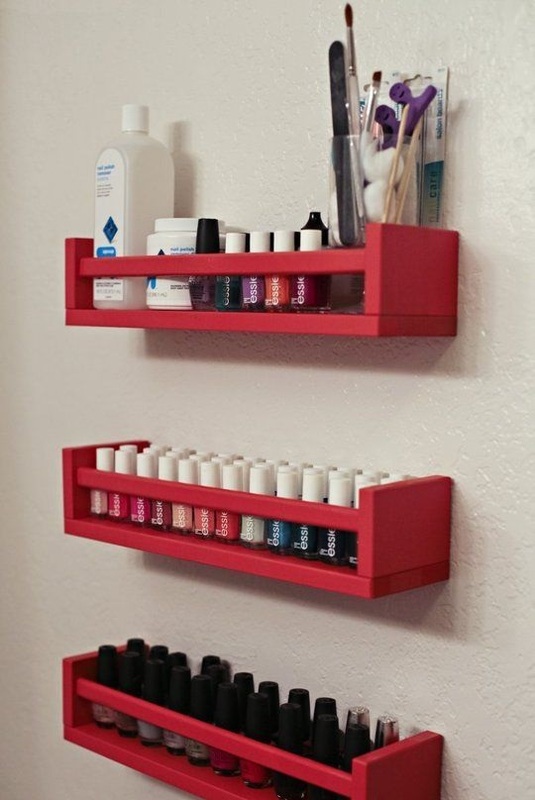 If you need additional shelf space, spice racks will do. You could also re-purpose an old CD tower. 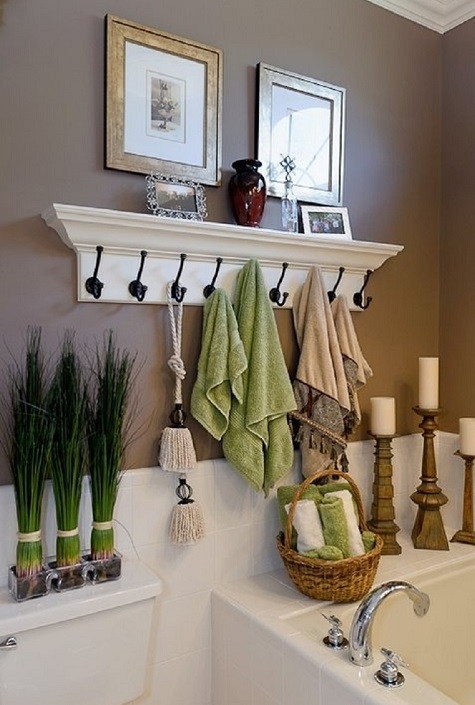 Not enough room to hang all your towels? 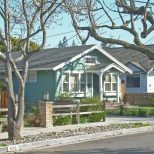 Don’t forget about the back of the door. 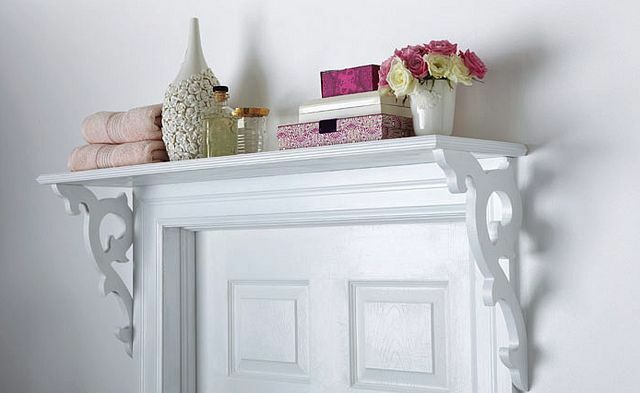 Or make the switch to coat hooks. 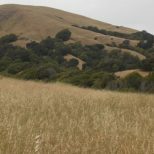 OR! 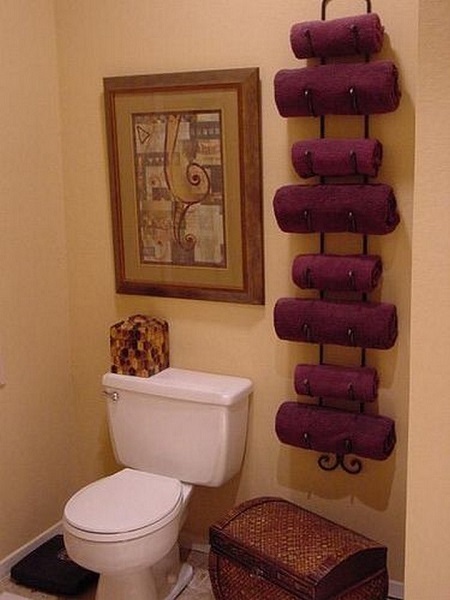 Roll your towels and store them on a wine rack. 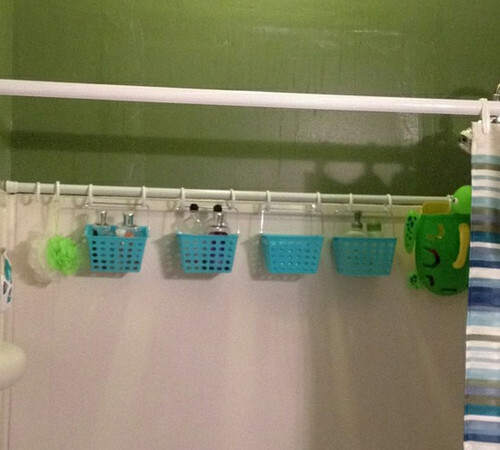 A second shower curtain rod means double the shampoo and loofah sponge storage. 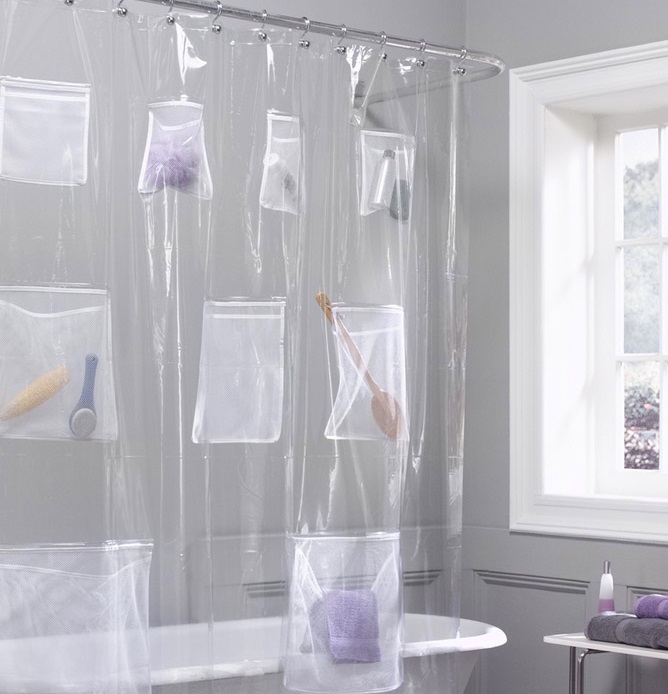 Get a shower curtain with pockets. Yes, these exist. You can buy them here. 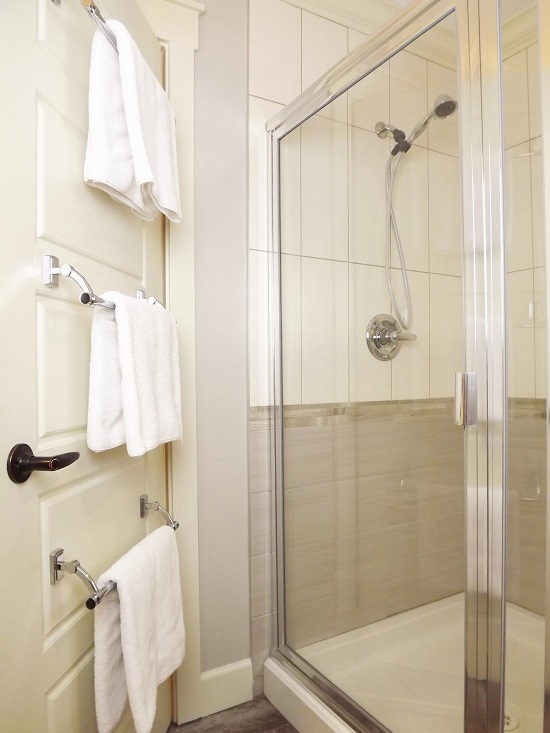 If you must keep a hamper in the bathroom, make something low-profile and hang it on the door. 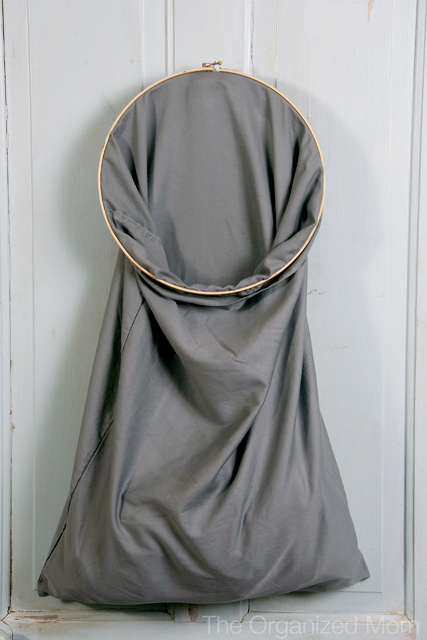 This DIY hamper made out of fabric will cost you only $3. 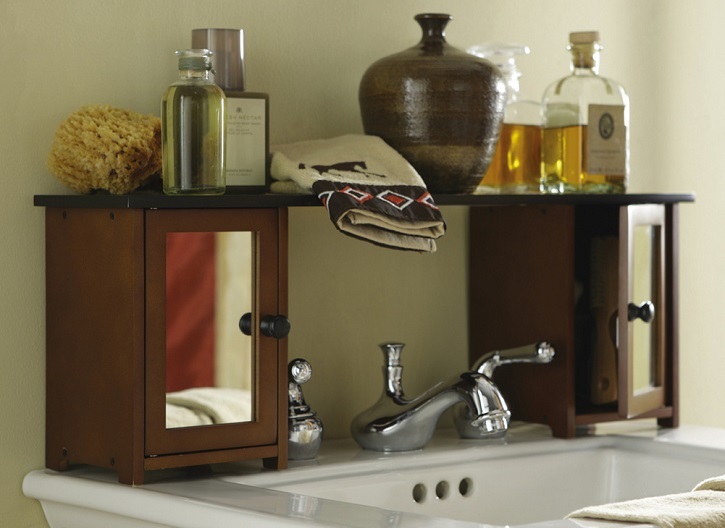 Buy a slide-out shelf for your vanity. 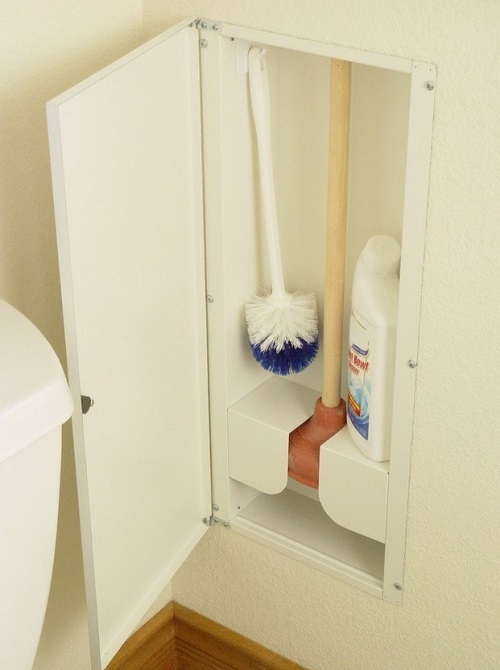 Install an in-wall cabinet to hide your toilet tools. 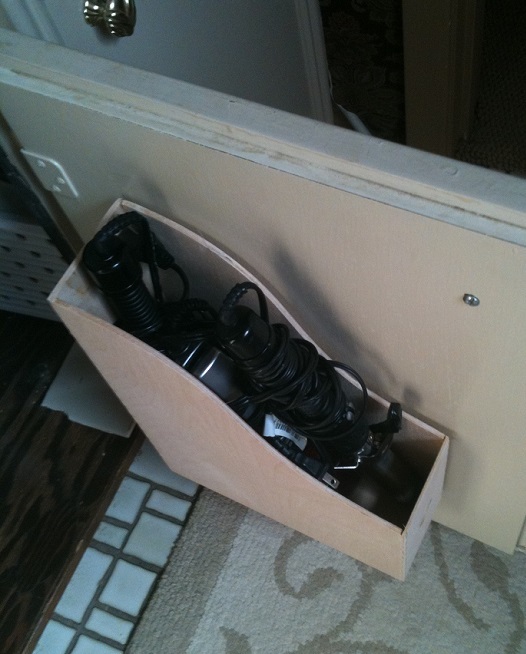 A magazine rack fastened to the back of a cabinet door is the perfect place to store your hair-damaging devices. 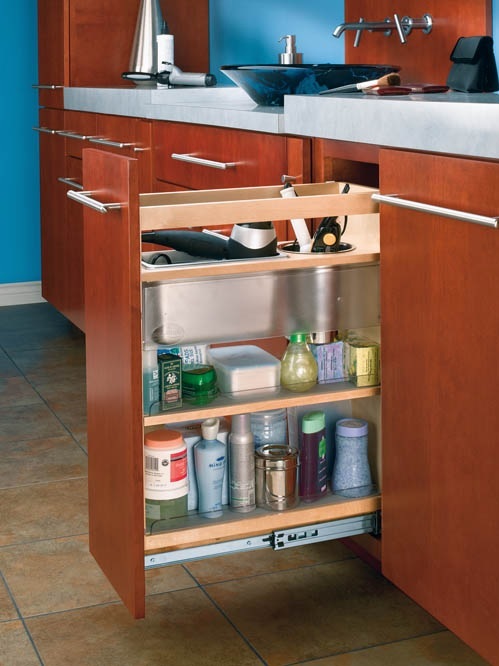 In fact, all cabinet doors should have some sort of shelf/storage attached to them. 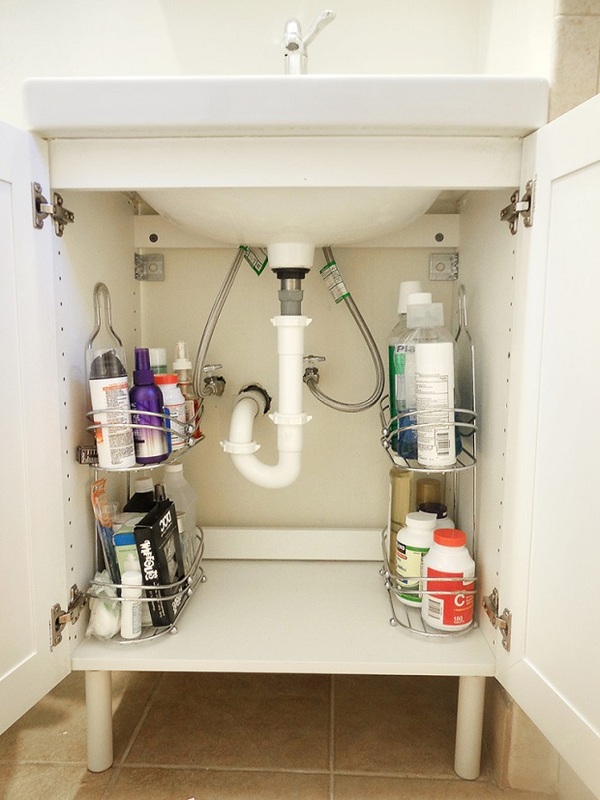 A shower caddy is a brilliant way to organize the space under your sink. 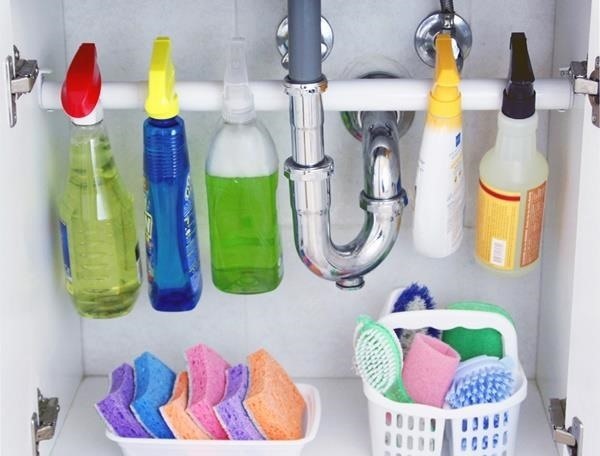 You could also use a tension rod to keep your cleaning supplies in order. 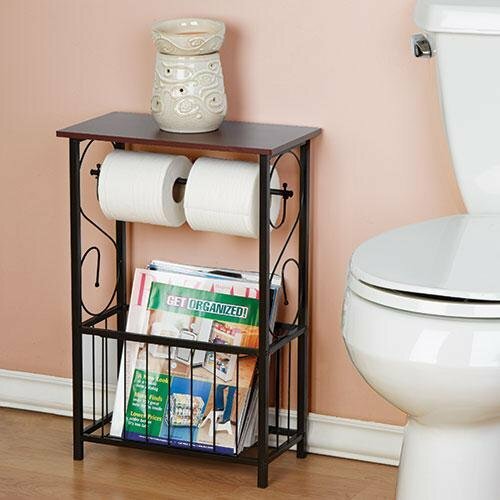 Buy a toilet paper holder that doubles as a shelf and magazine rack. 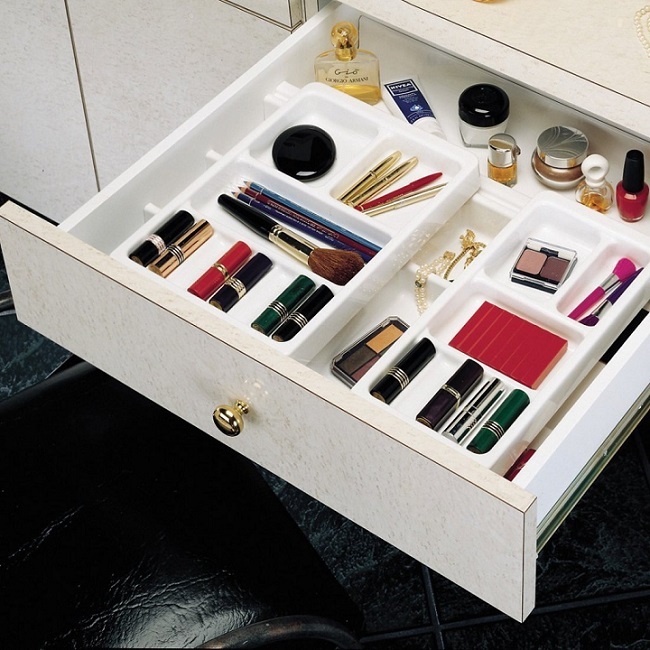 Use cutlery trays to organize bathroom drawers. 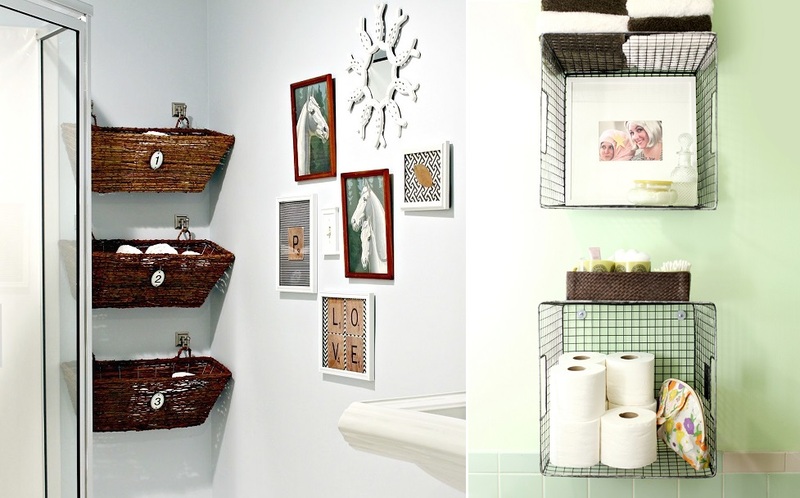 Hang wicker or wire baskets to store hand towels, magazines and toilet paper. And finally, put a shelf over the doorway for more out-of-the-way storage. 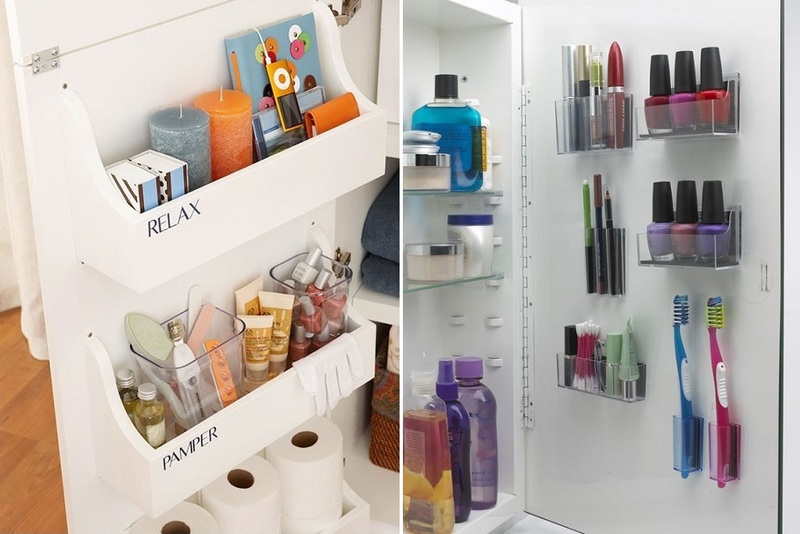 Need organization tips for the rest of your home? 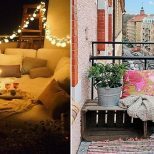 Here are some ideas for the garage, your tiny bedroom and a chaotic kitchen.